Luckily for you, we at Ferris Heart Sloane ship everywhere. So, if you’ve seen an arrangement you like but not sure if we’ll ship to your location, there’s nowhere we won’t ship to – whether you’re getting married in a quaint stately home in the French countryside or on the beach in Barbados, we’ve got you covered. We ship in advance and/or as fast as 4 working days (on average) globally. As long as you ensure we have all the information we need to dispatch, you can just relax and leave the rest with us! Can you create a bespoke creation? Yes! 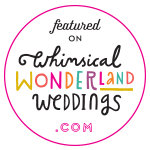 Even though we do have ready-made arrangements on our site ready to ship, we can create something you have designed that works in with the theme of your overseas wedding and its location. Remember – if you can imagine it, we can create it. From bouquets, buttonholes, table centres and floral arches – we’ve fulfilled a whole host of different requests – it really does depend on what you’re looking for. If you need a helping hand, just send us an email to hello@ferrisheartsloane.comand we will help you!